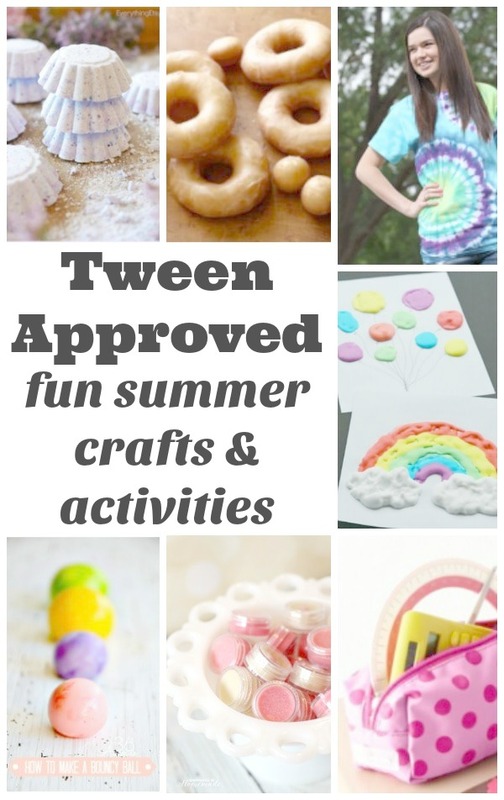 Keep the tweens entertained all summer long with the BEST summer crafts and activities for tweens…grab the craft supplies and have some fun. A bucket filled with water and a few sandbox toys. That used to be enough to entertain my girls all summer long. Seriously. A bucket filled with water, sitting on the back deck. They would joyfully splash in that bucket for hours. Summer vacation is a few weeks away and I am staring straight into two months with 2 tween aged girls at home…two months. I have a feeling the bucket isn’t going to cut it this summer. “What do you want to do this summer?” I asked my eldest daughter, expecting a shrug and a brush off response. Instead, my daughter sat down and wrote a list. A list of activities that she would like to do this summer. The truth is we have been sitting down and making a “things to do this summer” list on the first day of summer vacation for years now. I didn’t realize that she had been paying attention. I didn’t realize that my list making was rubbing off on her. So, this list my friends, is the list that I was handed from my tween. 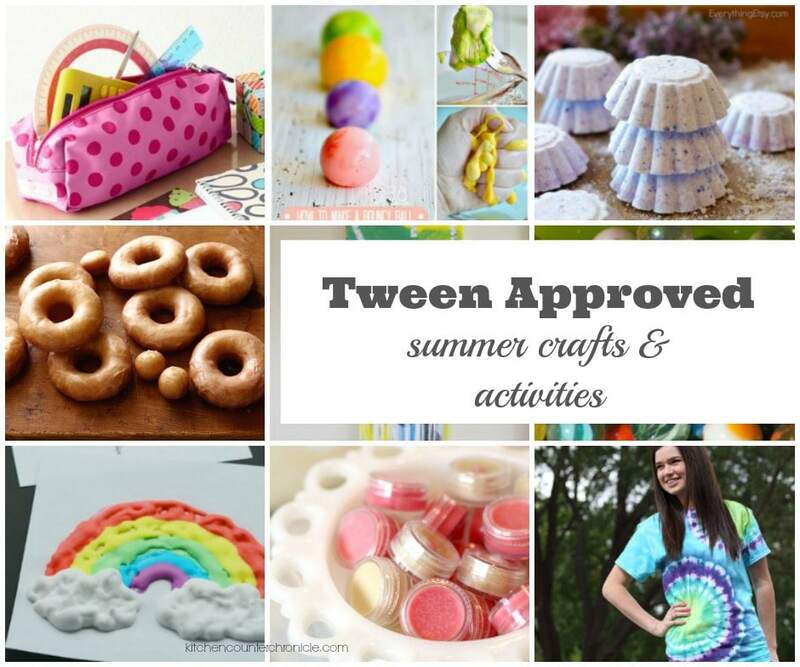 If you are looking for awesome summer activities for your tween, check out this tween-made list. If you are unfamiliar with tape resist art, all you need is a surface to paint on (canvas, paper, whatever), painter’s tape (low tack tape) and paint supplies. 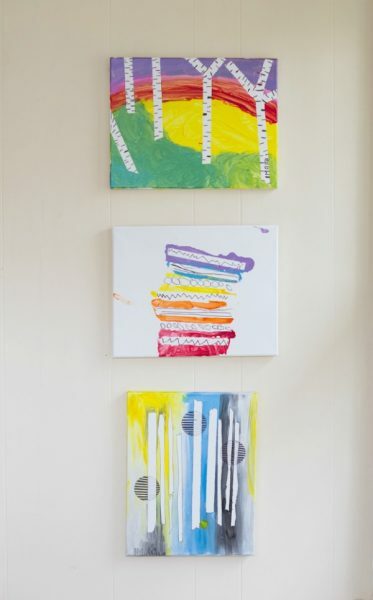 A simple painting technique that kids of all ages and abilities can enjoy. 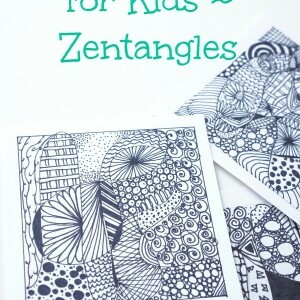 Check out this awesome tape resist step by step tutorial from the Artful Parent for a little inspiration. We own this awesome Klutz Make Clay Charms Kit and my girls LOVE it. The kit includes instructions for making so many adorable charms. I know we will be making lots of charms this summer. My eldest daughter is a big fan of the YouTube channel How to Cake It with Yolanda Gampp. We have watched most of the How to Cake it videos and they have inspired us to want to make some seriously crazy cakes this summer. Check out this spectacular watermelon cake. 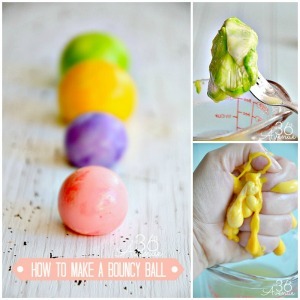 Did you know it is possible to make your own bouncy ball? Yep, it’s a fun, kitchen science project. Check out this simple recipe and tutorial from the 36th Avenue. 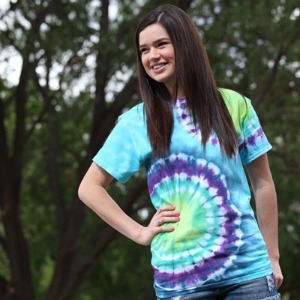 There are so many great tie dye tutorials over on the Tie Dye Your Summer website. I know we will find one or two to experiment this summer. Hot Tip: We made tie dye shirts this summer and we learned that tie dyed legs are also in fashion. Not to worry the dye washed off after a couple of showers. Who doesn’t love soft and sparkly lips? 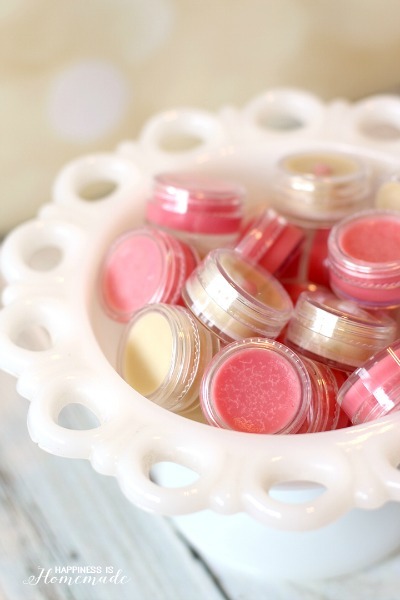 It is so easy to make your own lip balm. Check out this tutorial from Happiness is Homemade to make lip balm in 10 minutes – with natural ingredients. We always come up with a few summer sewing projects and this year it looks like we will be making pencil cases. 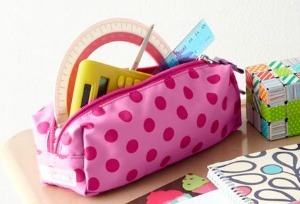 This pencil case sewing tutorial from Crazy Little Projects looks like a great place to start. Cakes and doughnuts – that’s what summer is all about. We’ve never attempted making doughnuts before. 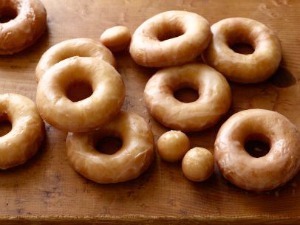 Looks like this homemade glazed doughnut recipe from Ree Drummond (The Pioneer Woman) might be perfect for beginners. 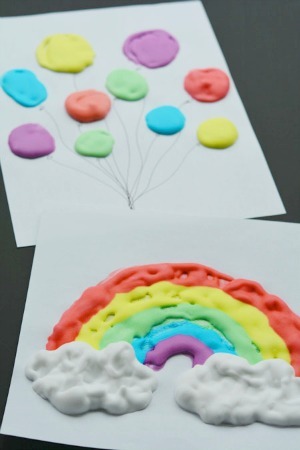 Yes, you can buy puffy paints from the store, but how cool is it to make your own? 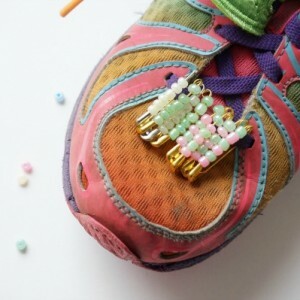 Check out this puffy paint recipe from One Little Project. I love the how the dried artwork looks…amazing. 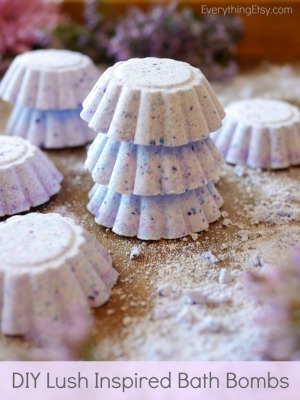 I love this bath bomb tutorial from Everything Etsy because it doesn’t require any specialized equipment or ingredients. Perfect for a quick summer activity. I love this item on the list. This one is pretty straight forward. Summer is all about hanging out with friends. Don’t forget to get everyone’s contact numbers before school lets out. Hanging out with friends IRL (in real life) is one of our all-time favourite summer activities. What was your favourite summer activity when you were a kid? So, what do you think? Better than a bucket filled with water? My kids certainly think so. Now, bring on summer vacation. YOU MAY ALSO FOLLOW ALONG FACEBOOK AND TWITTER. 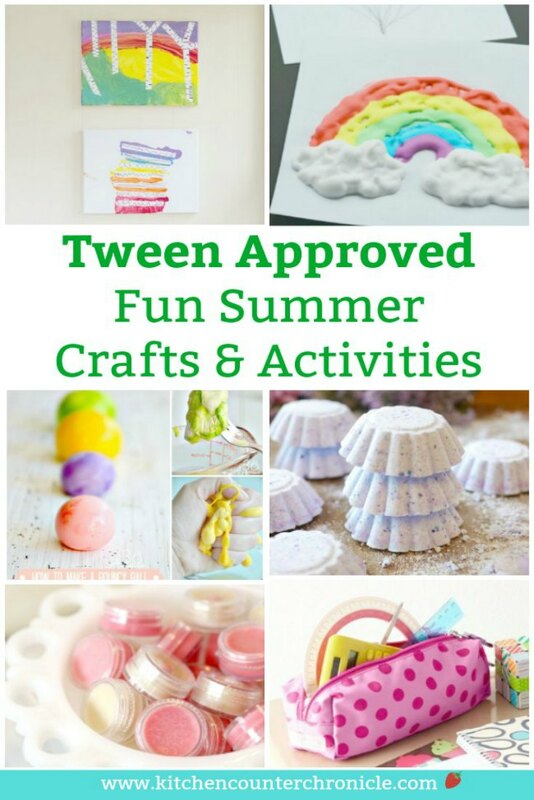 I love all of these ideas for summer vacation! I want do do them all!